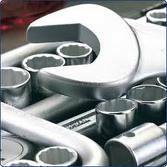 All Wye Valley Garage Mechanics are fully qualified to work on Land Rover and other 4x4 vehicles with many years of experience. The price you see is the price you pay, Book with Wye Valley and you can save up to 60% off Main Dealer Prices. We guarantee our work and strive to give honest and accurate information to all our customers. We keep you vehicle working for you whether it be family vehicle or work horse. "Used Wye Valley Garage For Over 5 Years." "The knowledge is second to none in. Saved me thousands of pounds over the years." "Best Land Rover Specialist for miles."